Does anyone know what are the terms and conditions for the promotions below? Sounds good but didn't bother to visit showroom due to ex maintenance. And the rest of the cArs maybe do not come with coe? Just Marketing Gimmick to "LURE" shoppers into showroom. Monthly installment per month is for first 2 years only, afterwhich reverts to the usual monthly derived from the selling price. If you bite this, that means no further discount or O/T for your new car or trade in. Pity those previous buyers and current owners on their resale value when the agent starts to slash their selling price to make up the numbers. 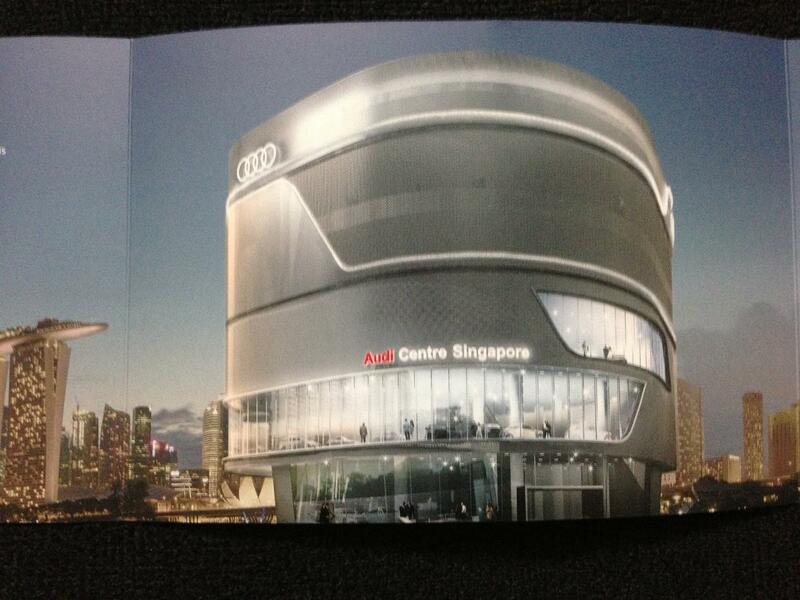 Audi move to new showroom, so give offers for all stock models. The new Audi Centre Singapore opening on next weekend 15 & 16 Dec.
such offers could be for first 12-mth instalment only on a 10-yr loan at extra high interest rates wif a clawback clause. if can onli afford to buy a luxury car on those crappy terms, might as well dun buy. Might be those cash back loans for 10 years... Extra high interest rates and these monthly amount would be for a limited time... After that probably be double of what you are paying? not sure about now, but previously was 70% loan min and they interest rebate you for the first three years. Its like say car price 240K 70% is 168K.. based on 1.88% 10 yrs (min) u paying approx 1680 monthly. They rebate you for first three years an interest which works out to be 600++. So u pay only $10xx for the first three years. Heard from a friend who has just bought a new AUDI A5. Did not hear the exact detail but there is a form of cash rebate if taking a 10 year loan (with a higher interest rate). This cash rebate will offset the monthly installment for the first two years which explains the lower figure. After two years, the installment will shoot up. what is free coffee and tea when they are earning so much premium from the buyers?